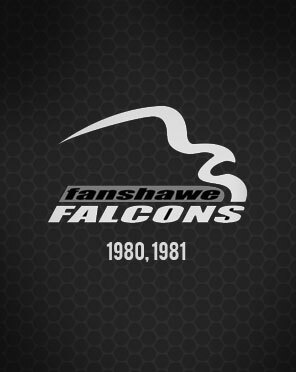 If you accused the Fanshawe Falcons of double dipping some three decades ago you would be right. All this gang of gritty basketball-loving guys did was win back-to-back national championships, a rare accomplishment in any sport. 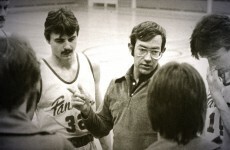 Led by head coach Glenn Johnston, whose impressive credentials make him a leading candidate for any hall of fame, the Falcons made their historic run in the seasons of 1979-80 and 1980-81. Johnston demanded respect, hard work and dedication. His boys bought into his systems and were rewarded with their twin killing that put Fanshawe and London on the map. In all, Johnston’s teams made four consecutive trips to the Canadian Colleges Athletic Association championships. 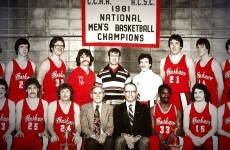 The 1980 tournament was played in Truro, Nova Scotia where the Falcons disposed of Vancouver Community College 66-59 in the final of the three-day event. 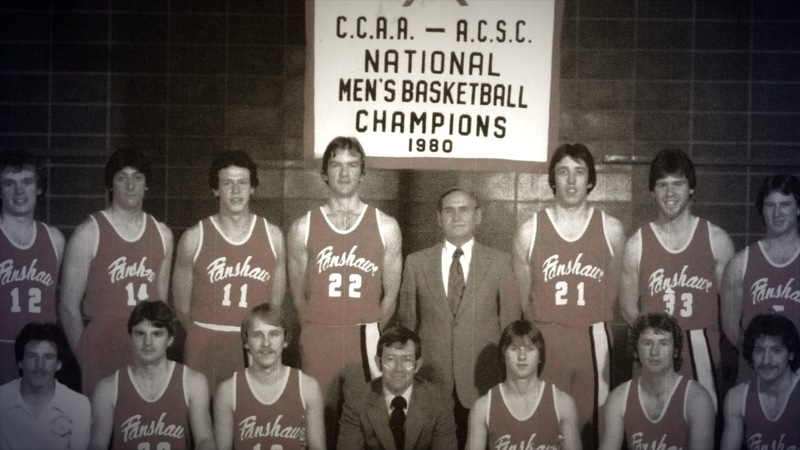 The Vancouver team hadn’t lost a game in 33 starts before meeting the Fanshawe buzz saw. Vito Frijia was Fanshawe’s top scorer with 21 points and was named the tournament’s most valuable player. Never one to do things half way, Vito would score another double when his London Lightning repeated as National Basketball League of Canada champions last month (April 2013). 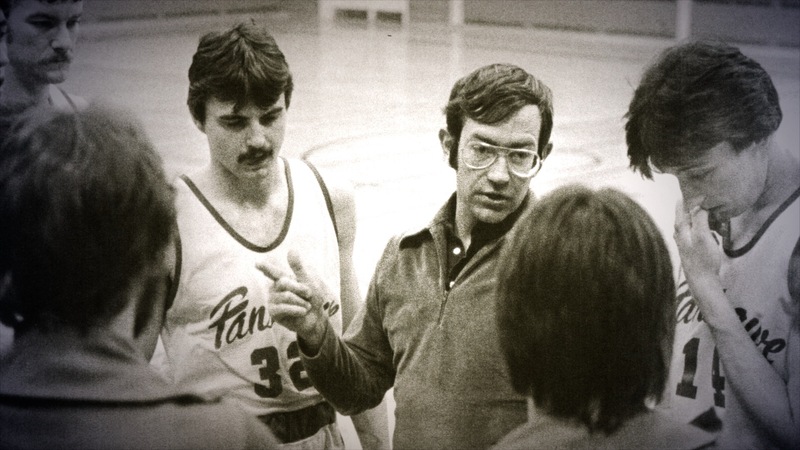 Vito was also a key figure in 1981 when the Falcons defeated Champlain College, the Quebec champion, 61-57 in the CCAA tournament played in Vancouver. Fanshawe trailed 37-28 at halftime but they put together a dominant late surge to keep their title. Banting grad John Hayden led the Falcons with 22 points and was named tournament MVP. He and Vito were selected to the tournament all-star team. A further illustration of just how well the Falcons could play the game came in 1980 when they defeated the Western Mustangs 51-49 in the “Battle of London” before 1,300 fans at Alumni Hall. Unfortunately, attempts to make it an annual challenge series never materialized. Johnston retired in 2012 after 37 seasons as the Falcons head coach with a record of 437 wins and 223 losses. Twice he was named Canadian Colleges’ coach-of-the-year. 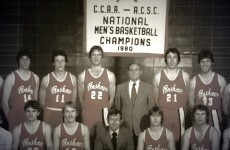 A player with Fanshawe in 1969 and 1970, Glenn’s jam-packed coaching resume also includes a bronze medal in the 1978 national tournament and a fourth-place finish in 2010. His teams have won the Ontario College title six times. 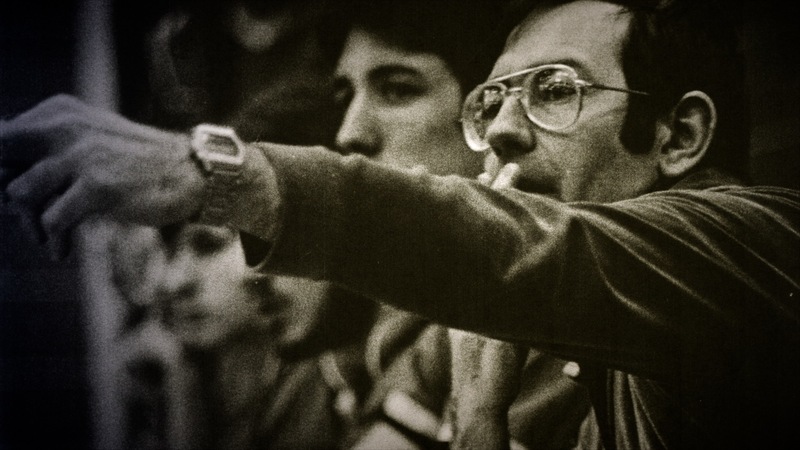 And he has been the OCAA coach of the year four times. In a fitting tribute Fanshawe’s refurbished athletic complex has been dedicated to Glenn. 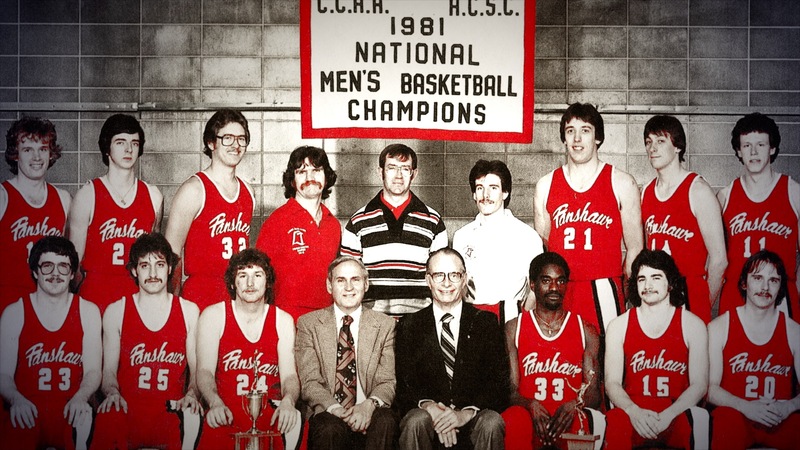 The London Sports Hall of Fame is pleased to include the outstanding Fanshawe Falcons basketball teams of 1980 and 1981 into the Class of 2013. Glenn, would you and your history-making players please stand and be recognized.